UPDATE: Police now say a 17-year-old boy was killed on Saturday in Winnipeg’s West End. Officers said they found the boy at a home on Sherburn Street just after midnight with a gunshot wound to the upper body. He was taken to hospital where he died of his injuries. Police said officers recovered a weapon and arrested a 15-year-old boy at the scene. He is charged with manslaughter, causing death by criminal negligence and discharging a firearm in a reckless manner. The accused is in custody, police said. EARLIER: Homicide detectives are investigating what police call a 'serious incident' in the West End early Saturday morning. 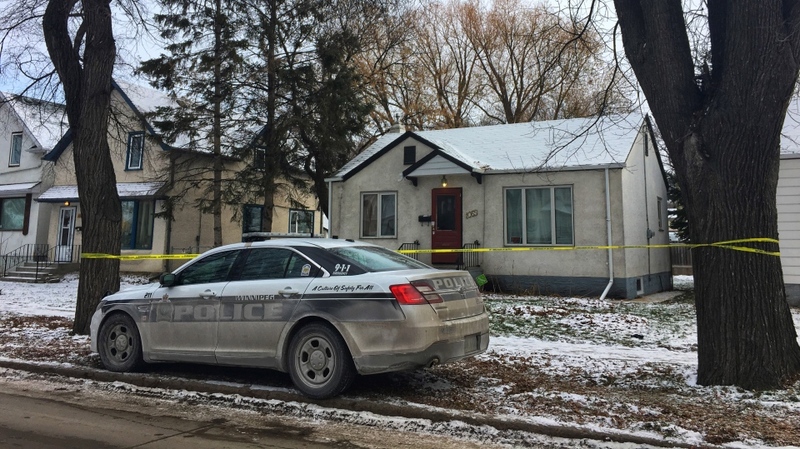 Winnipeg police say they were called to a home on Sherburn St. near Wellington Ave. just after midnight. They say officers were still on scene as of noon on Saturday. WPS is investigating a serious incident that occurred overnight at a residence in the 1000 block of Sherburn. Officers were called to the residence at approx. 12:20 a.m. and units remain on scene. Homicide detective are leading the investigation.